Kathy spent the first few years of her career in printing. From there, she advanced to graphic design and production. She got really excited about computers in 1986 and joined Smith & Hawken’s Art Department in 1987. There, she spearheaded their conversion from manual methods of graphic design and production to computer-based methods using the first versions of Quark Xpress. In 1989, Janet lured her away to become a general Macintosh specialist and trouble-shooter with Tokerud Consulting Group. Over the years, she got more and more into FileMaker development and Studio Manager, becoming Studio Manager’s product manager in 2000. As a senior member of the Tokerud team, I have been the interface designer, associate product developer and chief technical writer. Currently my work primarily involves writing manuals, user guides, training materials and website content. Although I do not design websites, I do work to keep TCG web pages current. Occasionally I work directly with designers to customize Studio Manager. What makes me good at this job is that I am one of you. My background for many years prior to joining TCG was in the graphic arts and printing industries. More often I work directly with Janet, either at her home office in Tiburon (a 1 hour commute for me each way from Santa Rosa) or remotely from my own home office. On very rare occasions I can still be talked into helping out folks with Macintosh tech support and the graphic design of simple flyers. In my off hours and weeks, I’ve found a nice balance to my work as a computer professional – that of vision quest guide. I lead vision quests in the desert a few times a year. See below for details. I went on my first vision quest in August 1995 with a group in Marin County called Wilderness Transitions. I traveled back to the wilderness annually for the the next 7 years to quest for vision. Each experience deepened my sense of self, continually revealing to me gifts and talents that I had not previously recognized or appreciated. There is nothing comparable to the clarity and insight I have experienced from spending solo time while fasting in remote wilderness. Except maybe the support and love I receive from my guides and fellow questers. It is a remarkable process. With each trip I become more open, more loving, more able to trust, a more whole person. I highly recommend going on a vision quest to anyone seeking to mark a life transition or who wants to understand themselves better. 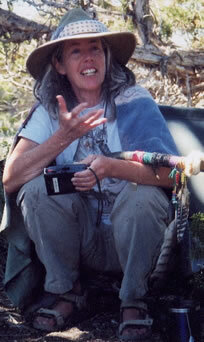 In 1998, I began training as an apprentice guide with Anne Stine of Wilderness Rites. Now, I lead vision quests and other earth-based healing programs. I feel honored and privileged to be able to offer guidance to others in a process that has been so transformative and healing for me. In this way I feel that I am following a deep calling to be of service, both to the earth and my community. Late in 2001 I experienced another life-altering event: my brain blew up. The technical explanation is that an aneurysm within the AVM in my cerebellum developed a bleed and I had to be rushed to ICU by ambulance. While this might have been a devastating for me, I surrendered to the mystery and bizarreness of it all only to awaken to a revitalizing sense of peace and well-being. I have been on a journey since then that some call recovery and which I think of as the miracle of having a second chance at life. In the world of the vision quest, we sometimes think of the ceremony as Dying Practice. In my case, having a near-death experience (NDE) has brought me such a huge appreciation of and joy for life. IMHO I became a better guide. I have been out to the sacred mountain to quest 4 more times since I was stroked. 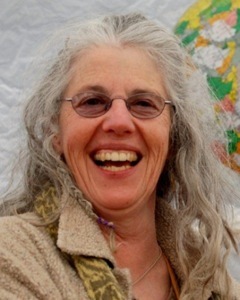 I now guide for Rites of Passage, a nonprofit out of Santa Rosa, CA. 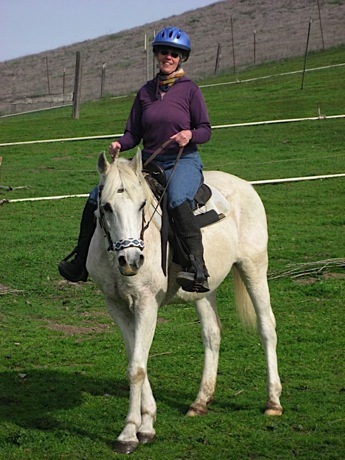 I specialize in guiding trips for adult women although I also co-guide mixed trips and once a men’s vision quest. If you are interested in learning more about Vision Quest and the remarkable transformative power of connecting with the spirit of nature, please contact me at scout@becomingsage.com.